A Sunday afternoon was the perfect time to make this dish, as it requires at least two hours of time in the oven. Outside of the time commitment, the dish is simplicity itself. 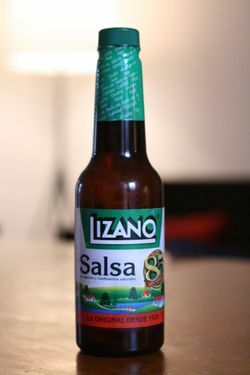 Then we topped the tacos with some Lizano Salsa that our friends Regi and Kate had brought us from Costa Rica. It's not salsa like you're probably used to. 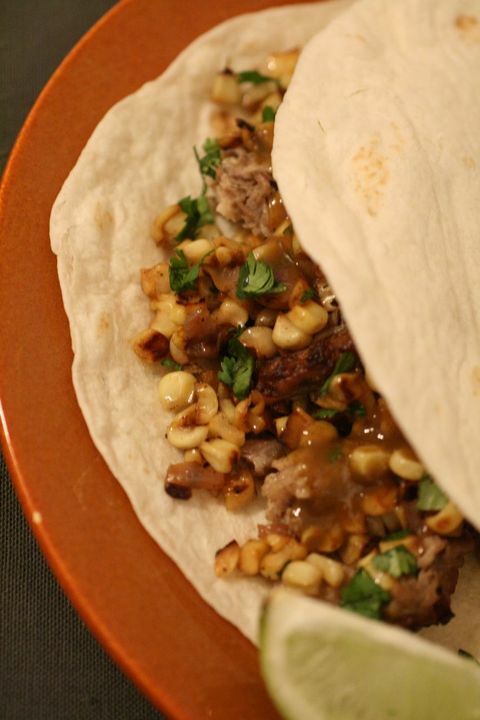 It's a smoky-sweet, peppery sauce that's just perfect on top of pork or chicken. You can probably find it in a Latin grocery store -- or maybe even in the international aisle of your regular supermarket. Or you could use it as an excuse to go to Costa Rica. Anyway, we garnished the tacos with cilantro. They're incredibly delicious! 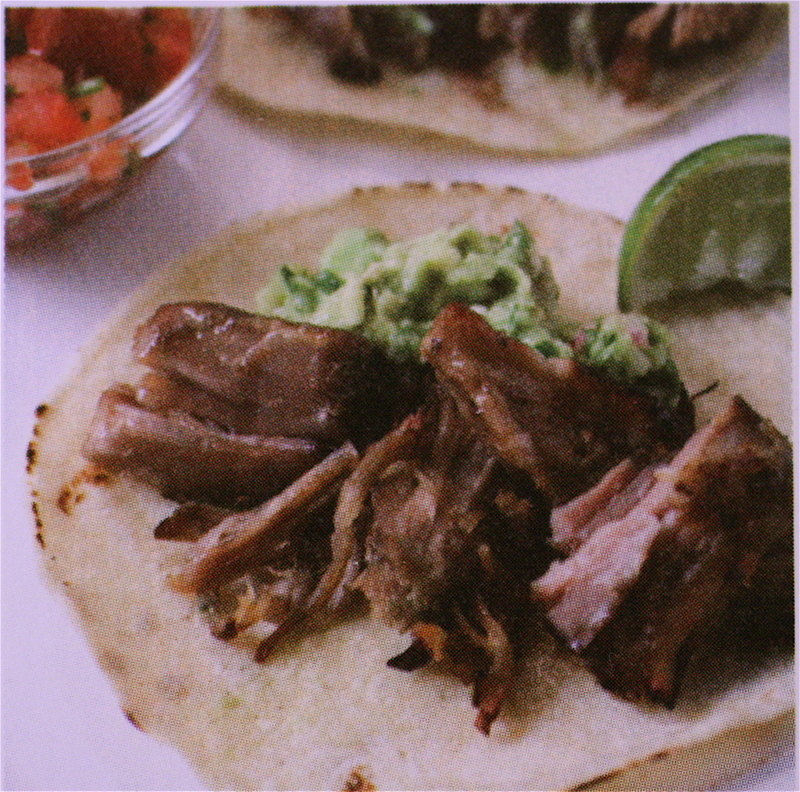 We loved our corn salsa, but if you make these tacos and use other toppings, we'd love to hear from you! Heat oven to 300 degrees. Add all the ingredients in a Dutch oven. On the stove top, heat the ingredients until they begin to simmer, stirring to combine the spices and meat. Cover the pot and place it in the oven. After the dish has been in the oven for 1 hour, stir it so as to turn the meat, and continue cooking for one hour more. Meat should be very tender and falling apart. Remove from oven and remove the pork from the dish, transferring it to a bowl. Keep the liquid but discard the bay leaves, onion and orange rinds. On the stove top, place the Dutch oven over high heat and bring to a boil. Boil until the liquid has thickened and is reduced to approximately 1 cup. Heat oil in a medium skillet. Add onion and sautee until beginning to brown. Add corn and cook over high heat, stirring frequently, until the onion and corn have nicely browned and both are beginning to caramelize. Add salt and pepper to taste. Remove from heat. Mix in lime juice and cilantro leaves. Serve on top of tacos.